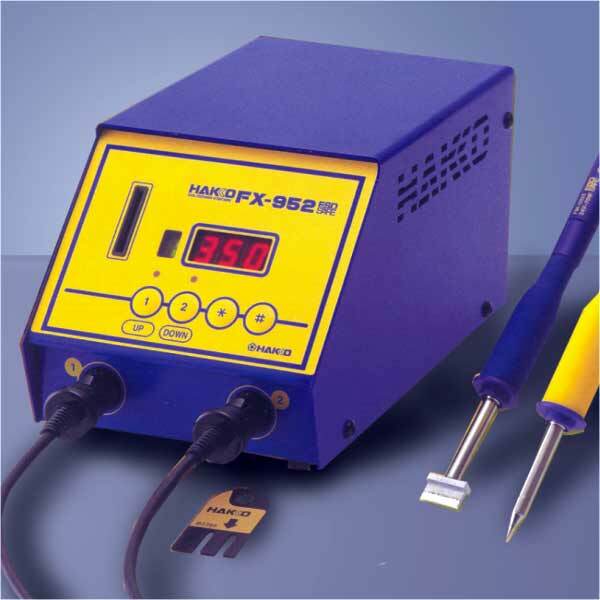 Uses lock-type Sleeve Assembly soldering iron. Interlock mechanism with the iron holder makes setting of the power-save setting easy. Possible to set power-save function on two different irons.